The Disklavier™ range is Yamaha’s family of high-tech reproducing pianos pinnacle of reproducing technologies. Yamaha Disklavier Pianos combine technology with tradition to open up a whole new world of musical possibilities to explore. And, they are for immediate delivery UK wide from Hanna Pianos in Wimbledon, London. The Disklavier range’s new updated range is the ENSPIRE models. This is divided up between the ENSPIRE PRO and the ENSPIRE ST. The new Enspire ST range of Digital Pianos from Yamaha offer unlimited potential, providing full recording and playback functionality. Offering the highest resolution recording and playback paired with the highest quality acoustic pianos for those who want nothing but the best. 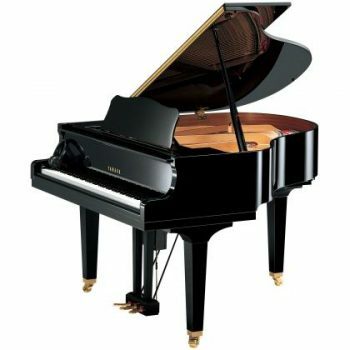 If you are looking for a piano that connects the piano music lover with the instrument like never before, and brings the entertainment experience to the highest level imaginable then you want to invest in the Disklavier ENSPIRE ST grand piano from Yamaha. 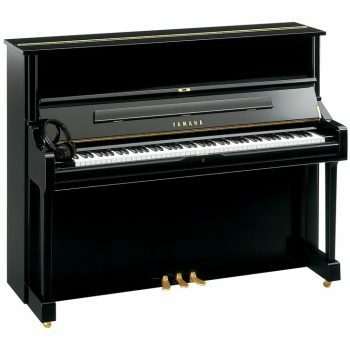 Visit Hanna Pianos located in Wimbledon London where you will find the Disklavier and other hybrid pianos made by Yamaha at incredible prices. Whether you want to buy a Yamaha Disklavier piano or just try out different models across the Yamaha range, don’t hesitate to come in to our South West London Showroom for a chat and a cup of tea. As an authorised Yamaha Pianos Dealer we are proud to have opened our exclusive Yamaha Piano showroom in early 2017. Our showroom has not only a wide range of Yamaha Digital Pianos, but also new, antique, restored and reconditioned Yamaha Acoustic Pianos. Innovation fusion of premium real acoustic piano and digital technology. Sleek design means tactile technology features hidden form view. Enjoy wide variety of different sounds and direct access to over 500 built-in songs. Seemless wireless, connectivity where thousands more performances can be downloaded. Advanced recording functions allow teachers and students to critique recorded performances. Yamaha SILENT Piano™ technology allows for listening, learning and playing without disturbing others. Our Yamaha Showroom is located a short walk from South Wimbledon Underground Station and is a short walk or bus ride from central Wimbledon. We serve all around the South West London, Surrey, Kent and Middlesex area. It’s easily accessible from anywhere in the nearby surrounding SW17, SW18, SW19 and SW20 areas, both by public transport and by car. Street Parking is available outside the showroom and we also have one free parking permit for customers for nearby parking bays. Our Yamaha showroom also serves the Battersea, Colliers Wood, Putney, Clapham, Kingston, Surbiton, Fulham, Twickenham, Hampton, Richmond, Barnes, Esher, East Sheen, Chelsea, Hammersmith, Knightsbridge, Mitcham, Morden, New Malden, Worcester Park, Croydon ,Wandsworth, Merton, Tooting areas.